This week at church & community: Tue – 9/11 Remembrance walking with flag at covered bridge, Wed – Tune Up fitness class, Thurs – legal training with ACLU to support asylum-seeking detainees in Stafford County Jail, Sat – Jen’s Friends Climb Against Cancer (church team walking together) Sun – 8am gazebo & 10:30am church worship with First Responder Celebration plus youth & family activity. Plus community events: Tue – voting, Sun: Rally for Recovery walk in No Conway, NH & and Interfaith Play in at Capitol Center for the Arts in Concord, NH. 7/19/2018 — Has your church been looking for a way to help in the crisis at the US / Mexico border? 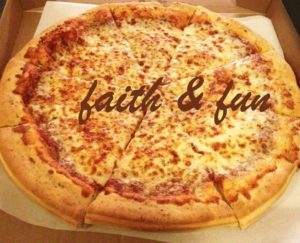 Here are two collections of supplies that your church can contribute to now. Our fellow UCC churches are doing the work at the border directly with both the children and adults who are coming across the border, being detained, and being released. This is a tangible way to make God’s love and justice real and a way for us to help our sister churches doing the work. In response to current events at the border, regarding the separation of children from their families, the Missions Team is sharing the information below with friends and members of Jackson Community Church. This reflects the response of the national United Church of Christ and offers a path for individuals who feel moved by this issue. 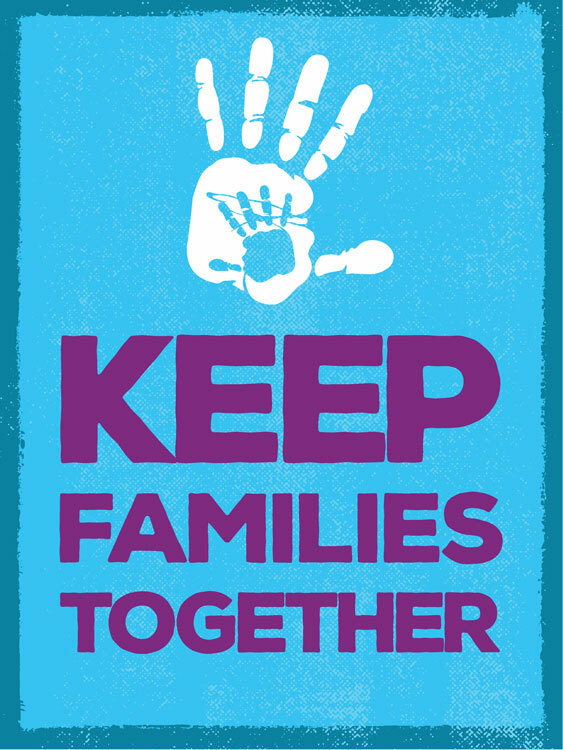 For anyone who wishes, envelopes will be available at church to make contributions to UCC Ministries, specifying the Keep Families Together fund. 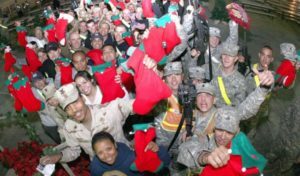 Mission Committee is holding a Cutting Party to prepare the materials for veterans’ Christmas Stockings after Laurie McAleer’s 9am Tune Up fitness class. Bring sharp scissors and common pins if you have them. Expect to cut out 60 stockings. 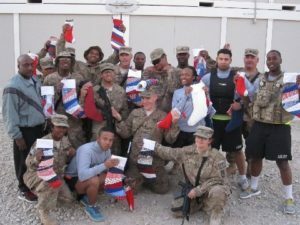 Once completed (they’re taken home to be assembled by the organizers), these stockings go to the Pease Greeters group and are distributed to incoming and outgoing military personnel at Pease Air Force Base. JCC friends and members can volunteer along with JCC’s team leader Fred Tompkins to help clean local roads by registering (same day registration) at the Whitney Community Center (other communities have different registration locations) to get gloves and bags and cleanup assignments, and then go out to pick up trash until noon. 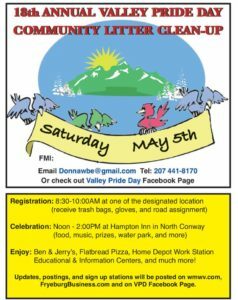 For more information on the entire event, and other locations to register and clean up, see the Conway Sun article. Please RSVP for this event to cheryletoneill@gmail.com, Cheryle O’Neill, MWV Habitat for Humanity Family Support Committee Member and Women Build 2018 Coordinator. No construction skills or knowledge are necessary; just your presence and enthusiasm. Afternoon/evening. Church and old library. RSVP to Rev Gail if able to help. * 8am-2pm • Jackson Community Church. 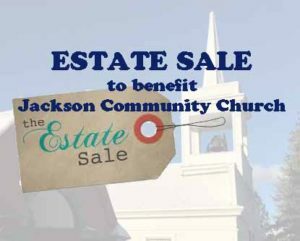 The church “estate sale” will take place the same day as the plant sale, outsie of weather permits, indoors if necessary. 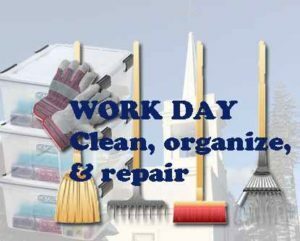 Donated items (household goods, sports equipment, collectibles, kitchen items, tools) will be sold to benefit the church building and operations. RSVP to Rev Gail if able to help. Highlights: spring cleaning at church, cutting party for Pease Greeters Christmas stockings, plant sale to address teen homelessness, estate sale to benefit for church, plus help Valley Pride road clean up, women build with Habitat for Humanity and learn more about volunteering for Starting Point. Some RSVPs requested for planning purposes. 3-5pm • Outdoors at Jackson Community Church. Come prepared to work outside. Wear old clothes, sensible shoes, and bring work gloves. If possible, bring rakes or brooms. We’ll remove sand and leaves from driveway, lawn, and playground, and generally doing a first pass at cleaning up outside. Park across the street if possible; we’re cleaning up the parking lot. 9am-Noon. Come prepared to work inside or outside, depending on your preference. Rain is expected, so we anticipate most projects will be indoors. 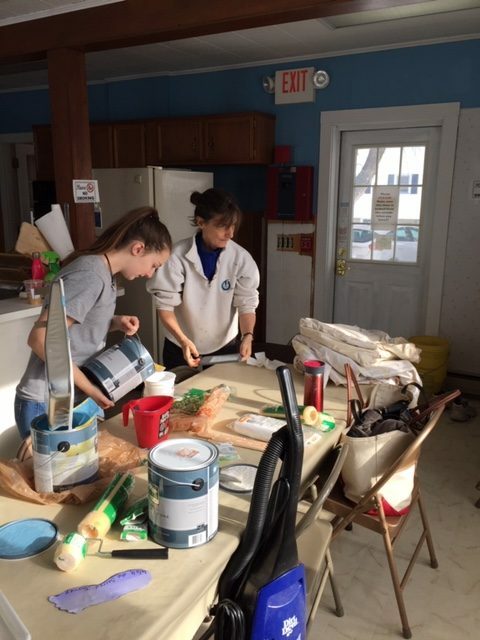 We’re organizing closets, cleaning windows and hard-to-reach areas, touching up spots inside and outside the church, changing lightbulbs, and sprucing up the church grounds. Wear old clothes, sensible shoes, and bring work gloves. 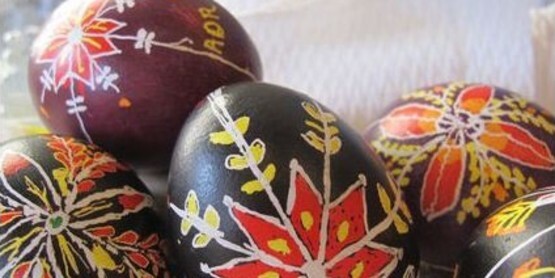 If possible, bring sponges, rags, buckets, rakes or brooms. RSVP to Rev Gail if able to help. Money earned from the plant sale will go to the emerging Homeless Teen Initiative c/o North Country Cares (also the umbrella organization for the Revolving Closet). The church “estate sale” will take place the same day as the plant sale, outsie of weather permits, indoors if necessary. Donated items (household goods, sports equipment, collectibles, kitchen items, tools) will be sold to benefit the church building and operations. RSVP to Rev Gail if able to help.